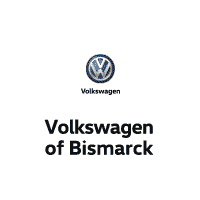 The goal of Volkswagen of Bismarck is to be an industry leader in providing unmatched quality automotive products and services. We will constantly strive to meet the changing needs of our customers. Our aim is to provide an atmosphere that encourages employee teamwork, integrity and excellence. Together we will set and continually improve sales, service and operational standards. It is our mission to exceed our customers’ and employees’ expectations, and maintain their loyalty for a lifetime. Our philosophy holds that all areas of equal importance. However, in any planning or decision making. Guest Enthusiasm will always carry the most weight. Our guests have told us that the most unpleasant part of buying a vehicle is negotiating, which is why we offer our Best Price up front, and in writing on every vehicle on our lot. Whether you’re male or female, 18 or 80, every guest will always get the same low price. Relax, our non-commissioned sales consultant are here to help you make a wise choice in a no pressure environment. In fact, they’re paid based on how satisfied you are with your experience, not on how much you spend. You’ll know what your vehicle is worth before you start to shop. It’s based on the current value of your vehicle and doesn’t depend on the one you want to buy. We’ll pay you that for your vehicle even if you don’t buy ours. Our professional team is here to provide you full maintenance and repair services when you want and need them, including all day Saturday. Our service department now offers more hours to make servicing your vehicle more convenient. Monday – Friday 7:00am to 6:00pm and Saturday 8:00am to 5:00pm.